Next job to my first pike swim .i travel light with just one rod and minimal tackle ,because I find if you haven't caught one in 30 mins you best just try another swim ,and if there there they nail a live bait ,quicker than a tramp on a chip !! ..
First cast tight under the far cover ,bang fish on straight away .lost it . 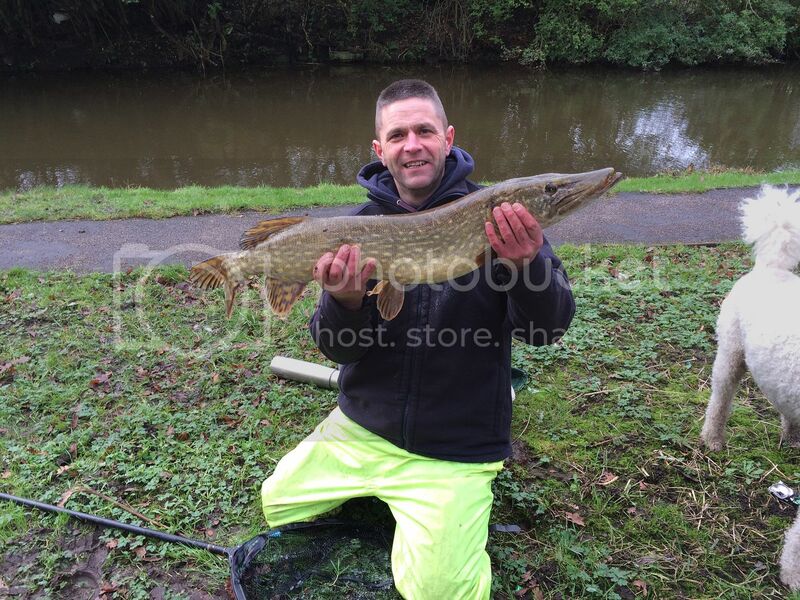 A jack of a few pounds ..second cast had this cute little pike ..
Then in the same swim fish number two ..
Then fish number three .this one took me by surprise when I struck into it as I only ever have jacks on live baits from this canal and my landing net was nowhere nr big enough .. It gave me the run around for a good ten mins before I got it in with three failed attempts I finally got it to fold in the net lol .. I am no specimen hunter but this is the biggest fish I've ever caught ,deffo mid doubles if anyone could roughly tell me the weight of this fish ,as I left my scales at home ! ..I guess a good thirteen pounds ?.. Crackin session Tim. From past experience I would put that baby between 12 and 15lb.A belter. I quite enjoy a walk along the shroppy with a spinner but I've got to say I quite like your approach there and might give it a go in the next few weeks. 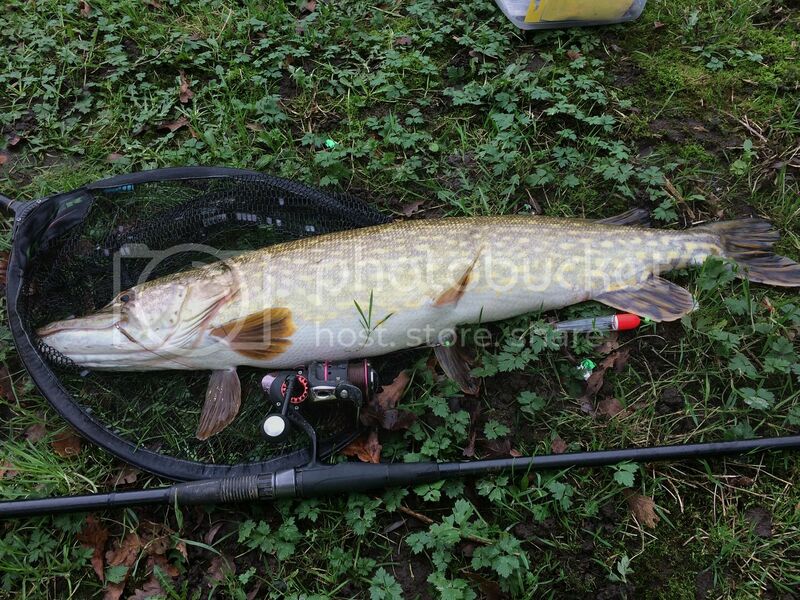 Fantastic canal pike, in fact, just a fantastic pike anywhere! Great report! 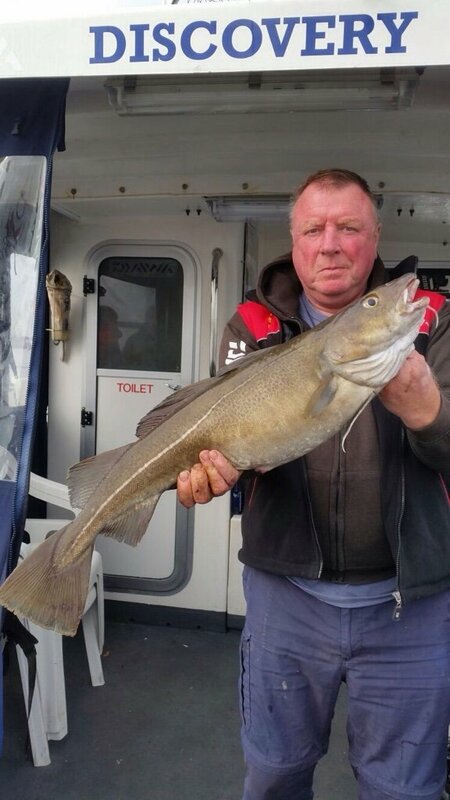 2014 species, Cod, Whiting, Dab, LSD, flounder, thornback ray, plaice, pollack, blenny, Ballan wrasse, three bearded rockling. 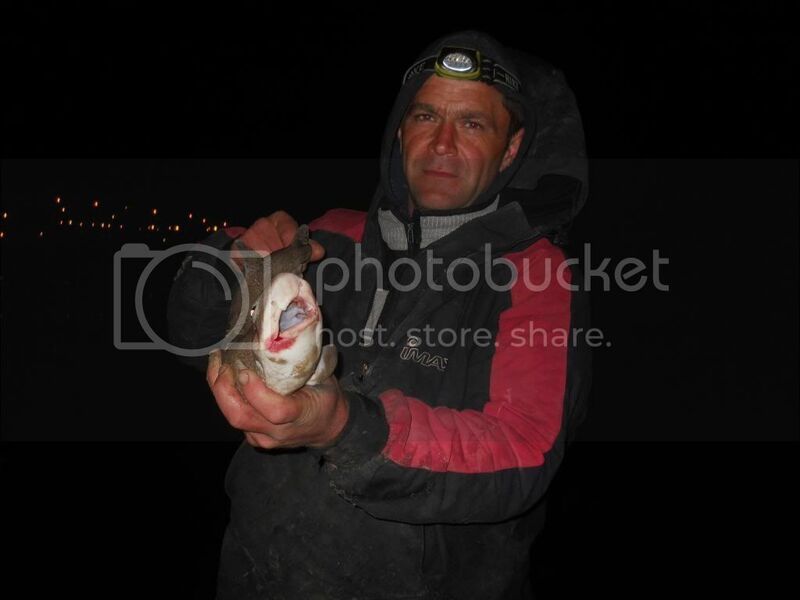 Nice Pike n cracking report n pics there me oowwdd.